Why choose Rubix Shuttles and Transfers? We text parents as soon as we deliver children safely to their destination. We are able to accommodate schedule changes or additional requests. Every vehicle in our fleet is equipped with satellite tracking and management systems to monitor, amongst other things, speeds, routes and location. We have child minders on most busses, however there are selected routes which may operate without one. Vehicles are comprehensively checked on a daily basis. Drivers are regularly assessed and we are committed to regular staff training. All staff are trained in CPR, First Aid and the Rubix Internal Standard Operating Procedures. All busses are equipped with dedicated cell phones to ensure they remain contactable at all times. The scholar service currently operates within the northern suburbs of Johannesburg. The scholar shuttle service operates within a 0-10 kilometer radius from the point of pick-up offering the flexibility of one-way or return shuttles. Ad hoc and monthly contracted services available. In addition; each franchise holder is owner managed and closely monitored on a monthly basis by Head Office to ensure performance and service levels comply with the standards our clients have come to expect. 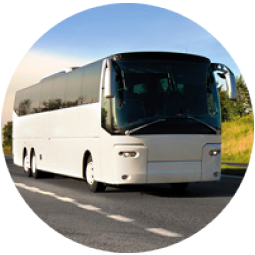 Click here to sign up for our shuttles services or to request more information. Our school transport services are geared towards working parents who need a safe and reliable solution for school transportation. We offer the stress free convenience of daily shuttles running throughout the day allowing the scholar access to our services for extra mural activities as well. Parents can continue their work day in the comfort and knowledge that their children are safe.The shuttle-based system service operates throughout the year, except December when all schools and nurseries close. This service is ideal for children whose schools are within a radius of 5-10km radius from their home. 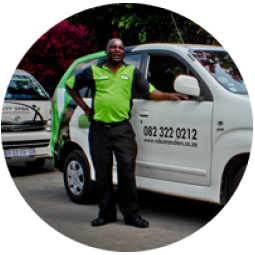 Our services are highly affordable as we charge a flat monthly rate. Parents have the flexibility to choose from one way or return shuttle.